and Bert Elias Underwood (born in Oxford, Illinois 1862 - died Tucson, Arizona 1943). They moved to Baltimore and then to New York City in 1891. L etat de conservation de cette epreuve est tres bon. Underwood & Underwood was an early producer and distributor of stereoscopic and other photographic images, and later was a pioneer in the field of news bureau photography. At one time, Underwood & Underwood was the largest publisher of stereoviews in the world, producing 10 million views a year. The Underwood brothers developed a selling system of thorough canvassing using college students. They distributed stereographs for Charles Bierstadt, J.F. Jarvis and the Littleton View Company. By 1887, they outgrew their original office in Ottawa and moved to New York City. Offices were also opened in Canada and Europe. In 1891, Bert learned how to operate a camera and thus the firm of Underwood & Underwood Publishing entered a new merchandising sphere. By 1897, the company had a number of full-time staff and free lance photographers. In the same year, the Underwoods purchased the businesses of Jarvis; Bierstadt; and, William H. Rau. Underwood & Underwood was publishing 25,000 stereographs a day by 1901. The firm still canvassed and sold its own stereographs. Around 1900, Underwood & Underwood introduced boxed sets, with specific themes, such as education and religion, and travel sets depicting popular tourist areas of the world. By 1910, Underwood & Underwood had entered the field of news photography. Due to this expansion, stereograph production was reduced until the early years of World War I. Altogether Underwood & Underwood produced between 30,000 and 40,000 stereographic titles. 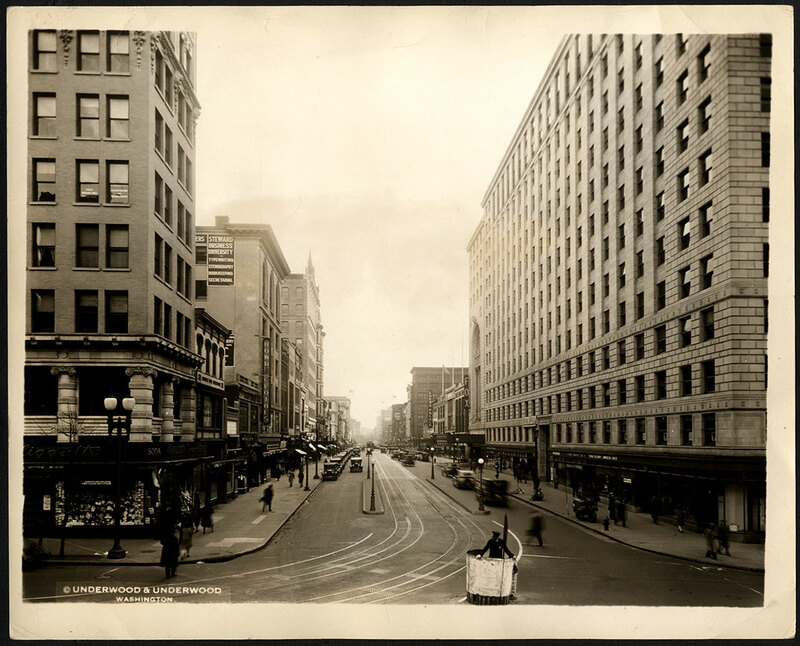 In 1920 stereograph production was discontinued and Underwood & Underwood sold its stereographic stock and rights to the Keystone View Company. The Keystone republished images included a V prefix for Underwood source. An example would indicate K24056 as Keystone numbered and the same images V24056 as Underwood and Keystone dual copyrighted. In 1924-25, Underwood & Underwood took the first vertically controlled aerial photographs of the new cities of Miami and Miami Beach. Approximately 400 images were taken showing the final phase of the first building boom, which collapsed shortly after when the Great Hurricane of 1926 destroyed both locations. The quality of the images was superb for the day and rivals modern aerials in detail due to the low altitude of the aircraft taking them. Little else is known about this aspect of the company's work. The company ceased business in the 1940s. Tirage original d epoque, considere comme vintage, donc tirage contemporain de sa prise de vue. Le cliche est pris le photographe et tire sous son controle. Les negatifs a cette epoque etaient sur film souple et le tirage se faisait avec agrandissement. Pour ce photographe, tout usage autre que prive est soumis au controle de ses ayant droits ou ses representants.